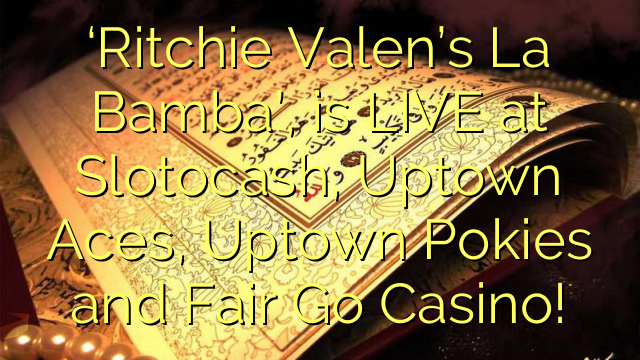 Online Casino Bonus Codes > ‘Ritchie Valen’s La Bamba’, is LIVE at Slotocash, Uptown Aces, Uptown Pokies and Fair Go Casino! 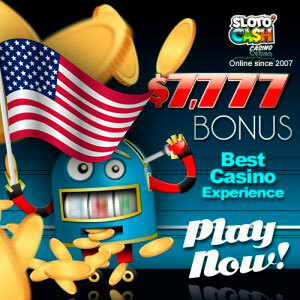 Offer – Available at all 4 Casinos! Surrender to the catchy sounds of ‘Ritchie Valen’s La Bamba’, the delightful new 6 reel All Ways Pays slot from Real Time Gaming! Ritchie Valens is an expanding, doubling Wild on reels 2, 3, 4 and 5 in normal games and counts for all symbols including scatters. 4 or more Left to Right or Right to Left scatters triggers the Ritchie Valens free games, with free games enhanced upon a 5 or 6 scatter trigger! 4 scatters award up to 20 free games, with a prize multiplier of 1, 2 or 3 on each free game. A 5 scatter feature trigger builds upon the rewards, adding extra expanding Wilds. The 6 scatter feature includes all bonuses from the 4 and 5 scatter features, and adds even more expanding wilds on all reels! Turn the clock back to the fabulous 50’s and get down baby!